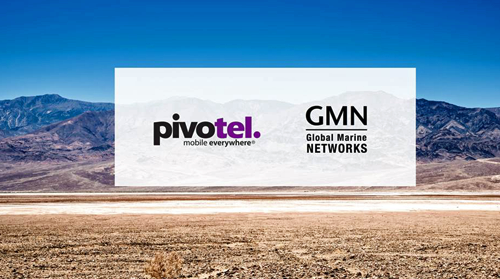 Australian company Pivotel has acquired North American satellite solutions company Global Marine Networks (GMN) as part of their accelerated push into the satellite data communications market. GMN core products are focused on speeding up satellite data while also lowering usage costs. The acquisition offers greater access to the GMN product portfolio and its team of developers, including the GMN RedPort brand of satellite VoIP, data routers and services. The procurement of the Tennessee-based company facilitates greater levels of integration with Pivotel’s broad suite of satellite technologies and provides the firm with a foothold in the North American market, through which Pivotel plans to expand the sales of existing Pivotel products. The transaction between Pivotel and GMN is expected to close on September 1, 2017. Pivotel CEO Peter Bolger said the acquisition was a natural fit with the GMN product suite providing solutions to the satellite industry’s pain points of slower and more expensive data downloads and noted that satellite phone technology has come a long way in a few short years. Data downloads are comparatively slow, sometimes painfully slow, and are notoriously expensive on a satellite network, but our company knows customers increasingly need to access the internet and apps for both business and personal use. It makes sense, then, for the company to partner with a leading satellite solutions developer, to offer customers with access to faster, more affordable content for an improved user experience. By bringing their expertise in-house, Pivotel is also able to develop more tightly integrated solutions that leverage the company’s network infrastructure. GMN and RedPort solutions provide turnkey access to all services including filtering and compressing data as well as blocking unnecessary content and software updates so users can upload and download data faster and more cost effectively, allowing satellite users to get the most out of their voice and data service.